The elements of the periodic table have all been named based on a number of factors. Some elements are named for colors and given the Latin or Greek word which depicts it. Other elements are named for the region or town they were first discovered. Several have been named after some of history's prominent scientific minds. Of those elements named for famous scientists, none occur naturally; they are all products of nuclear reactions in the laboratory and are extremely rare. The radioactive element bohrium was first created in 1981 in a German laboratory by Peter Armbruster and Gottfried Munzenberg. It was named after the Danish physicist Niels Bohr, who helped develop important theories of the structure of atoms in the 1930s. Created artificially by particle bombardment of plutonium, curium is a radioactive element first produced in 1944. It was developed in the U.S. by scientists Albert Ghiorso, Ralph James and Glenn Seaborg. The element is named for radioactivity pioneers Pierre and Marie Curie. The highly radioactive metal einsteinium was first produced in the U.S. in 1952 by a group of scientists including Bernard Harvey, Gregory Choppen and Stanley Thompson. It is not found naturally on earth and is produced by bombarding plutonium. Invisibly tiny amounts -- about 200 atoms’ worth -- were found in the radioactive “ash” from early hydrogen bomb tests. Albert Einstein, who developed many groundbreaking theories including the Special Theory of Relativity, lends his name to the element. First produced in 1955 by the same scientists involved with curium and einsteinium, mendelevium is a highly radioactive metallic element. It is produced by particle bombardment of einsteinium and was named after the compiler of the modern periodic table, Russian chemist Dimitri Mendeleev. In bombardment experiments on plutonium, the radioactive element fermium was discovered in the U.S. in 1952. As with many of the other synthetic elements, it exists in amounts far too small to have practical uses outside the laboratory. 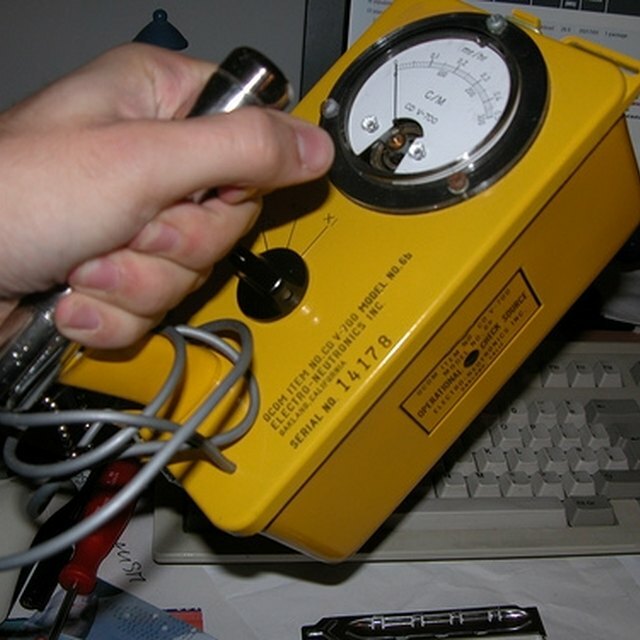 In addition, the tiny amounts produced decay rapidly through intense radioactivity, giving them lifetimes measured in days, hours or even microseconds. Fermium gets its name from Italian-American physicist Enrico Fermi who won the Nobel prize for Physics in 1938. Lawrencium was first produced in 1961 by scientists Torbjorn Sikkeland, Almon Larsh, Robert Latimer and Albert Ghiorso. It is a radioactive metal produced by various stages of particle bombardment using californium, boron, berkalium and oxygen. It is named after the inventor of the cyclotron particle accelerator, Ernest Lawrence. Hayden, Nancy. "Six Elements Named After Scientists." Sciencing, https://sciencing.com/six-elements-named-after-scientists-8262919.html. 25 April 2018.
Who Was the African American Nuclear Scientist Who Discovered the Elements Rutherfordium & Hahnium?